Whether you’re trying to promote an upcoming music concert, an art festival or a sports game, there is no doubt you will need to create an effective poster to help you spread the word about it. With an attractive poster, you can pique the interest of your intended audience, share all the important information about the event, and make it easy for people to know where and how to register for the event. Creating posters used to take a long time but nowadays, you can greatly speed up the process thanks to awesome, premade templates that save time while designing. 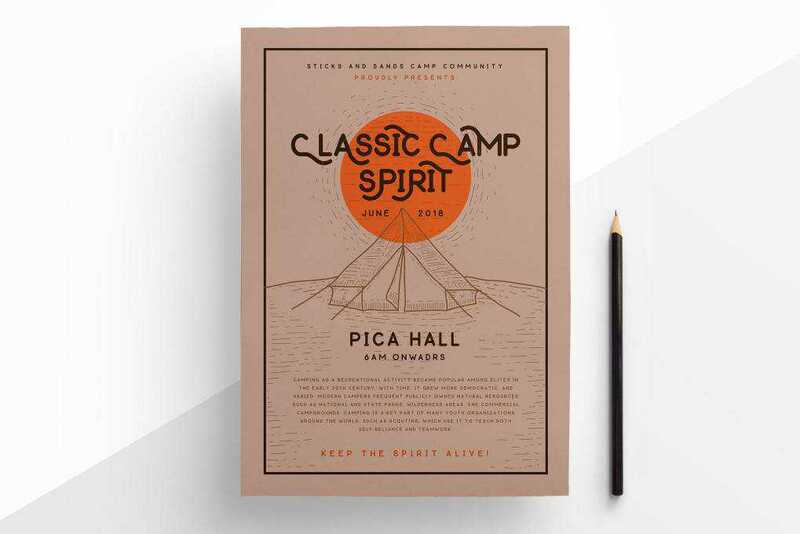 In this post, we’ve rounded up the best templates for creating posters. We also have collections of the best social media kits, flyer templates, business card templates, stationery templates, project proposal templates, and brochure templates. The Camping Event template is a perfect choice if you want to promote any type of camping or outdoors event. The template is designed in A4 size and comes with free icons and layered structure for easy editing in Adobe Illustrator. The Fashion Poster would be great for a fashion show but thanks to its minimalist design, you can easily repurpose it for a different event type. The template was designed in Adobe Photoshop and in A4 format. 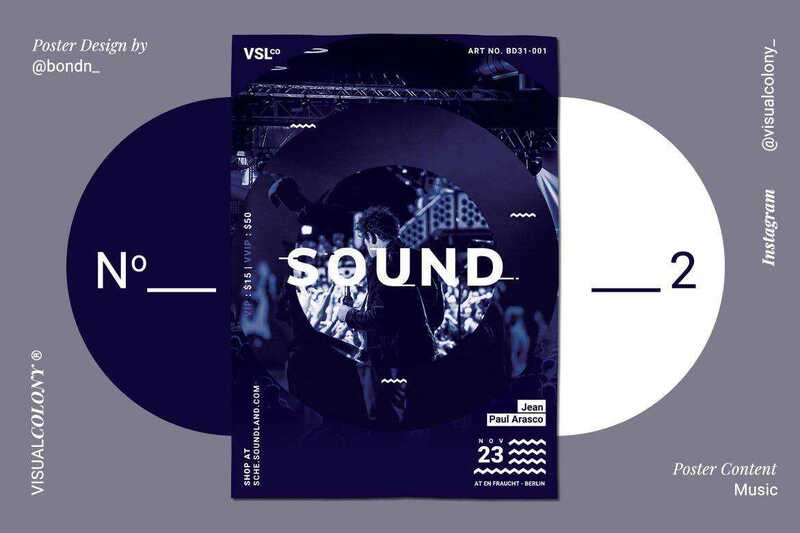 This creative template for a music event features an elegant and minimalist design. Since it was made with Adobe Illustrator, all the shapes and icons can easily be edited. The template includes separate layers for better organization and easy editing as well as a document with links to fonts used. 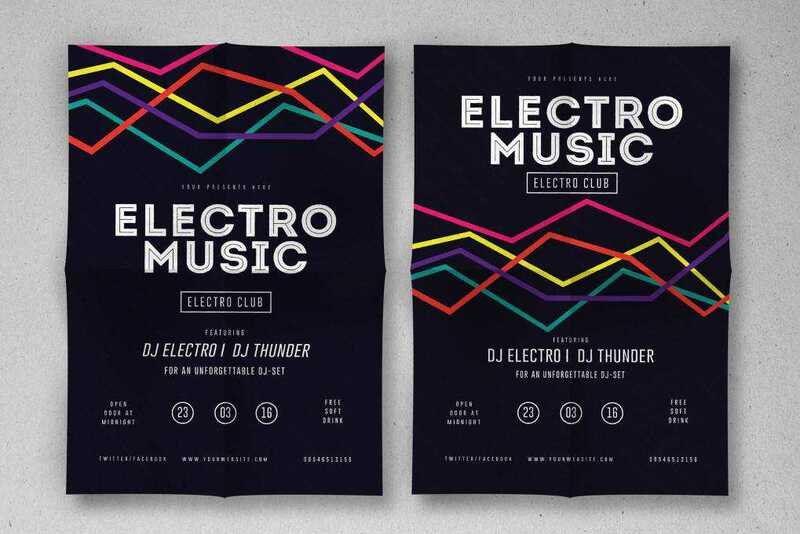 The Electro Musik Flyer and Poster template includes both a flyer and a poster template designed in Adobe Illustrator as well as Adobe Photoshop. This template pack features a modern and colorful design and well-organized layers. 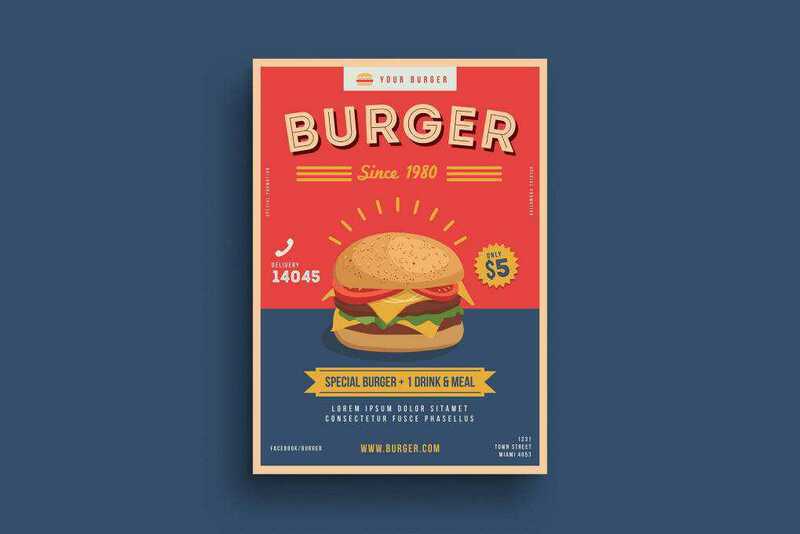 If you’re promoting a fast-food restaurant or need a poster that was designed with food establishments in mind, look no further than Burger Poster template. 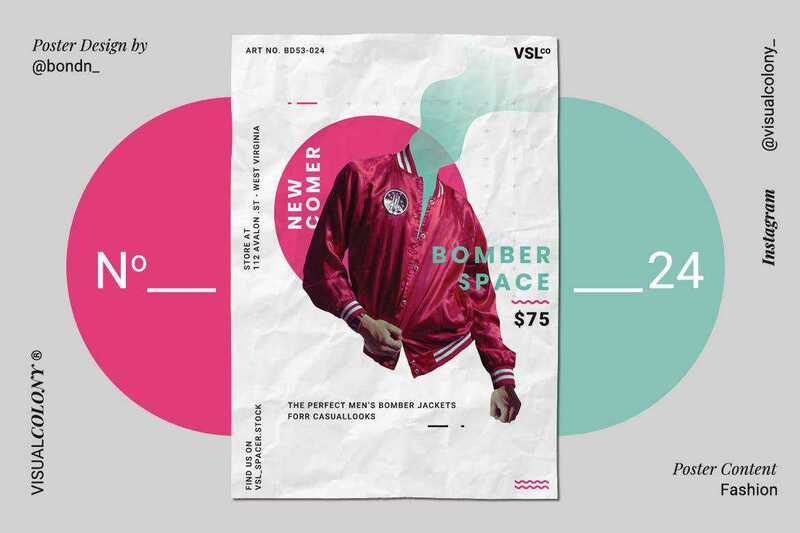 You’ll find a poster designed in a retro style, compatible with both Photoshop and Illustrator. 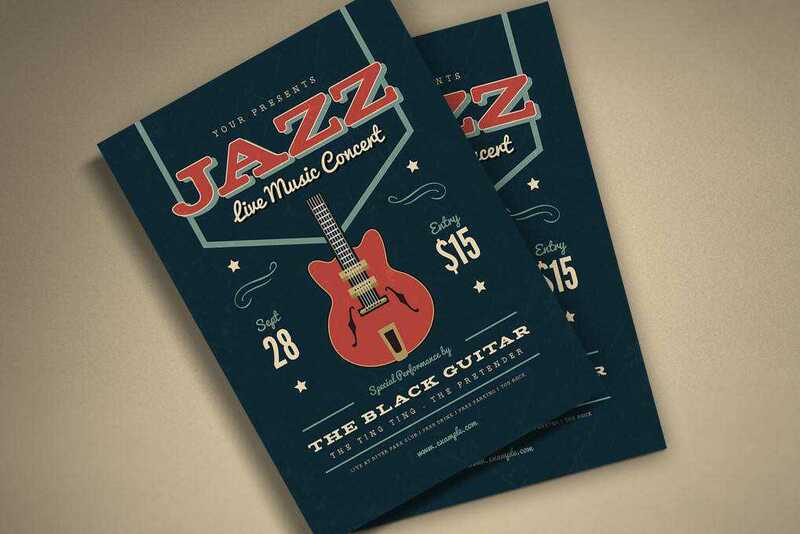 The Music Jazz Flyer features a slightly vintage look and is a great choice to promote a concert or a music event of any kind. The template can be edited with Photoshop and Illustrator and includes well-organized layers for easy editing. 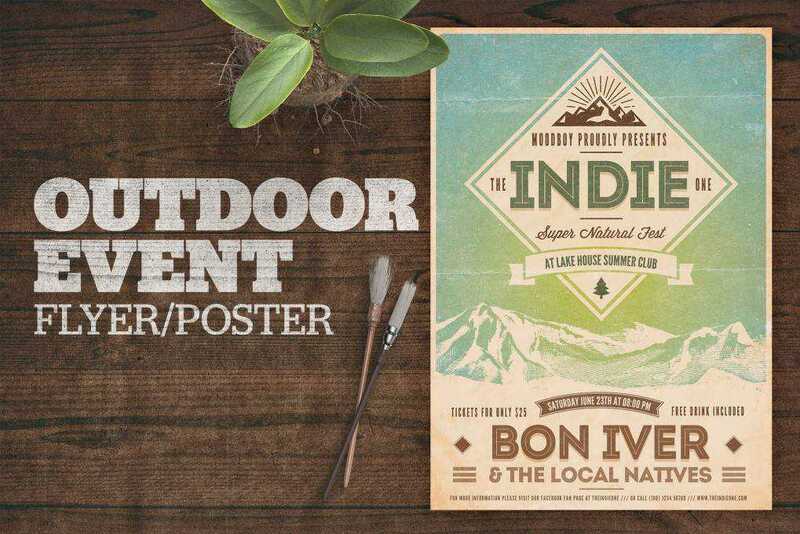 Consider the Outdoor Event Poster if you need a template for marketing an outdoor event. This template is easy to edit with Adobe Photoshop and includes six color schemes as well as a help document with links to fonts used. The Photography Poster template has a creative and minimalist design that can easily be tweaked to promote any type of event. The template uses free fonts which are linked to in the help document and you’ll also find well-organized layers and editable and resizable shapes. 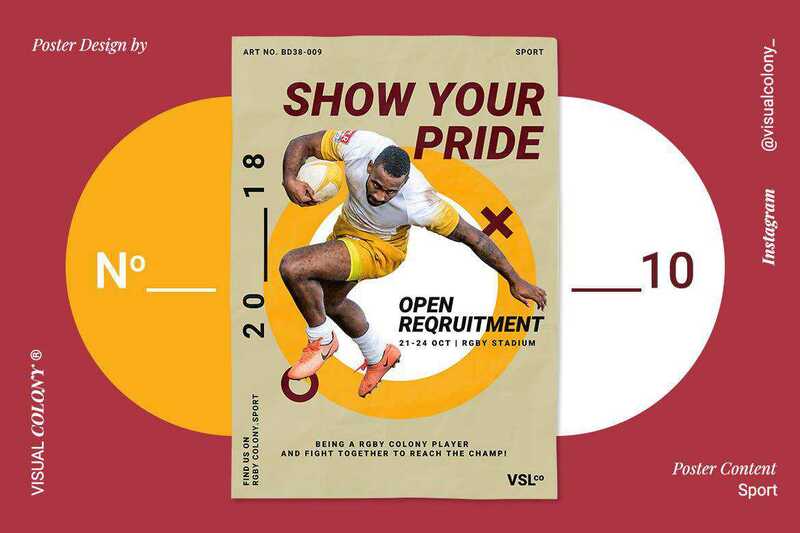 This modern Sport Poster template is perfect for promoting any type of sporting events. Since the template uses editable and resizable shapes, you can easily customize it to fit an upcoming basketball or baseball game. 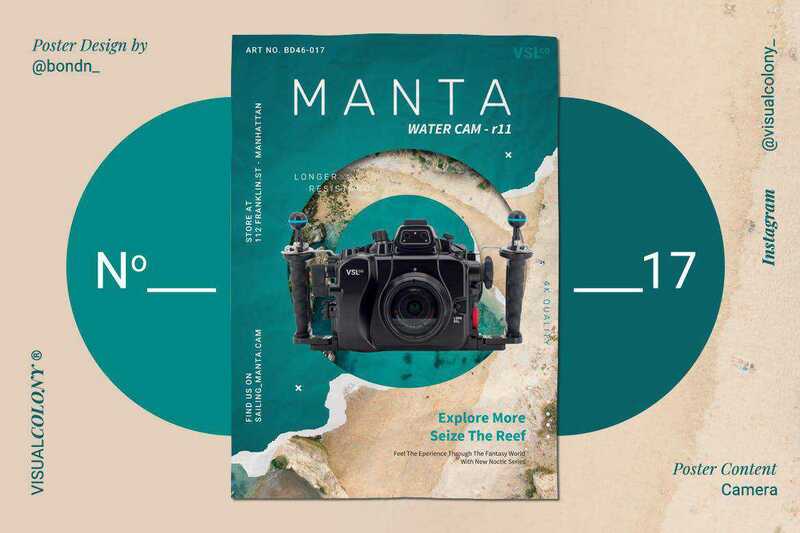 The template was designed in A4 size and CMYK color mode. 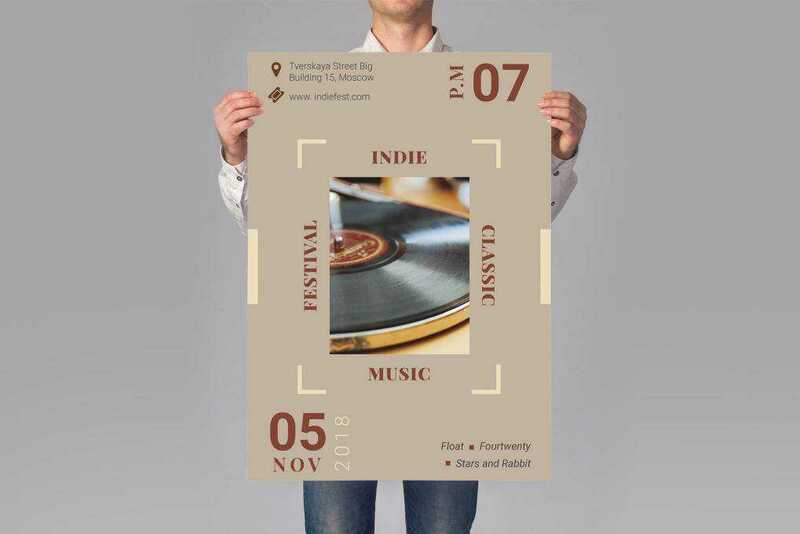 The Music Poster is another elegant poster template that would be great for promoting an upscale music event. The template was designed in Adobe Photoshop and A4 format. It includes fully editable shapes and free fonts. 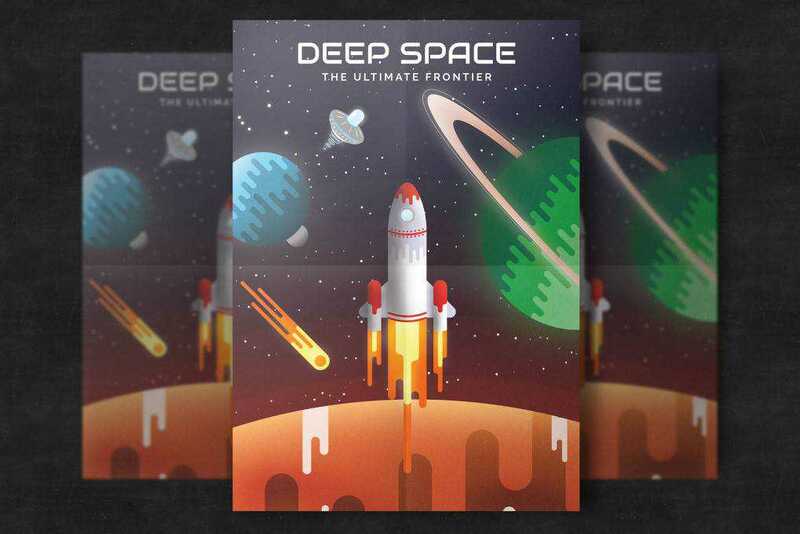 The Flat Space Poster is a colorful and modern template that can be used to bring awareness to any type of event. You will find well-organized layers and the template can be exported in either A4 or A5 format. No matter what type of event you’re trying to promote, you don’t have to waste time and start a poster design from scratch. Thanks to awesome and creative poster templates, you can design posters quickly, save time in your design process, and take on more work. Use this roundup to find the perfect template for your needs.